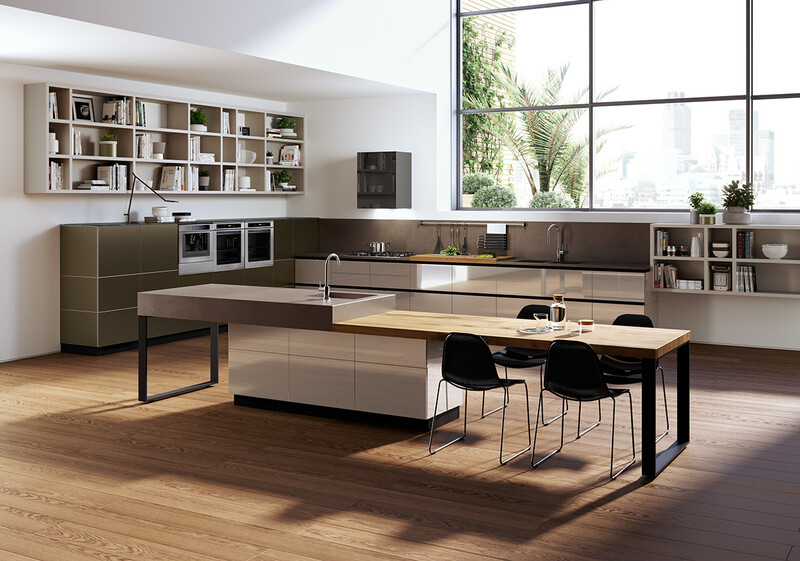 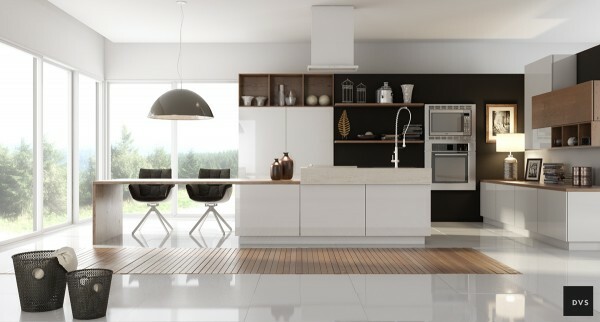 A clean and stylish kitchen can be more than a status symbol. When you have a beautiful space like the kitchens featured here, it can provide that extra encouragement you need to prepare a beautiful meal for family and friends. 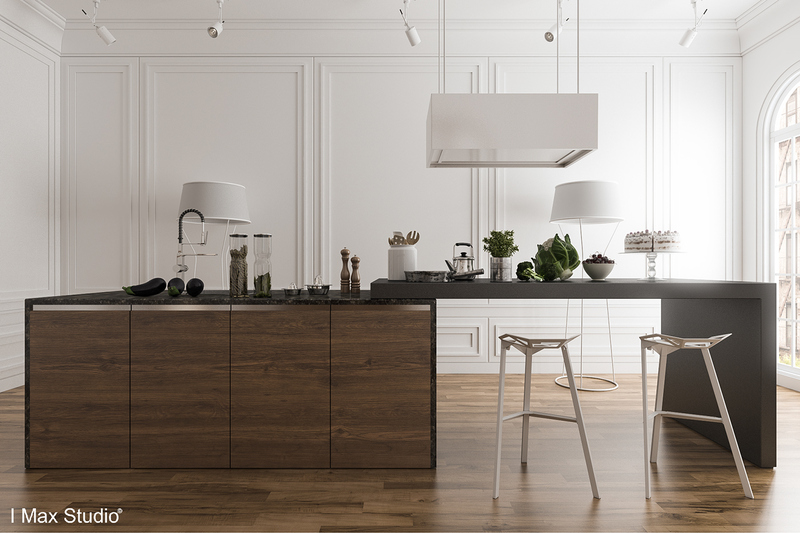 The more you cook and create, the happier and healthier you are. 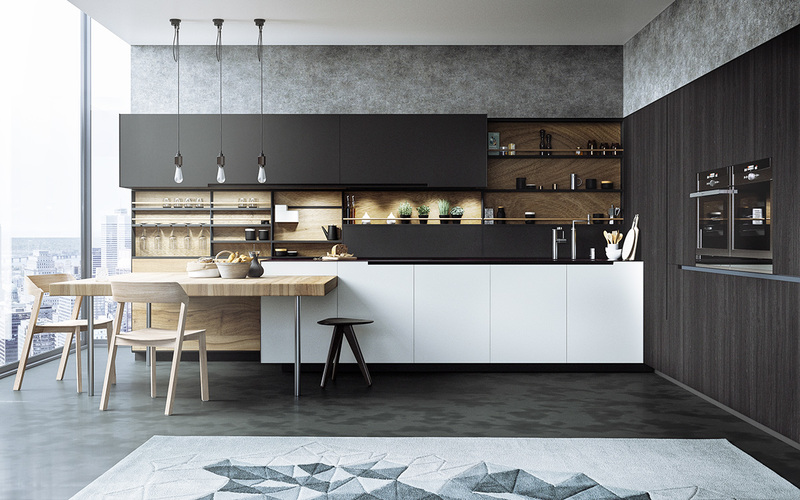 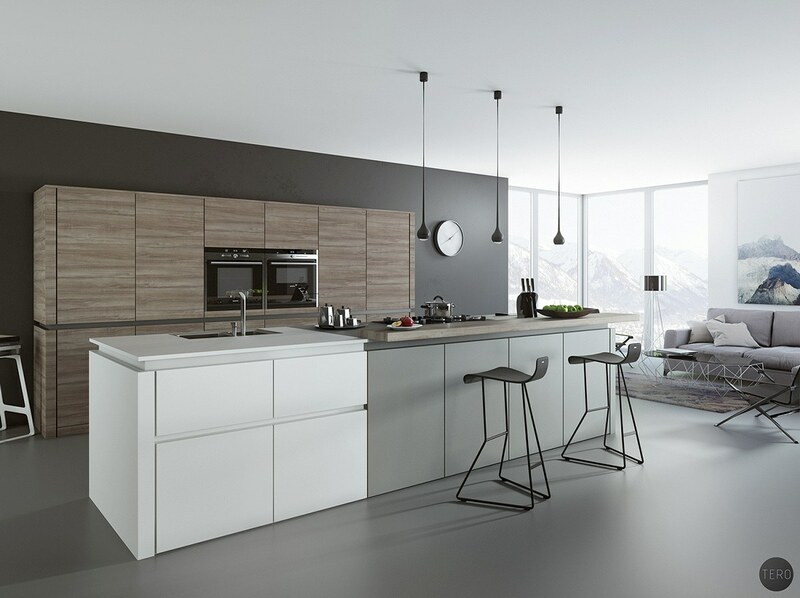 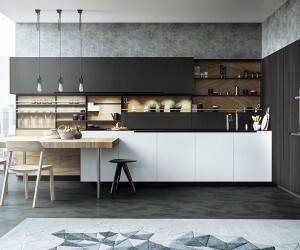 These black, white and wood kitchens could be just the inspiration you need to make a change in your life, too. The are rug and wall pattern in this kitchen give its sleek design just enough texture to warm it up. This similar design features open shelving and lots of natural light. 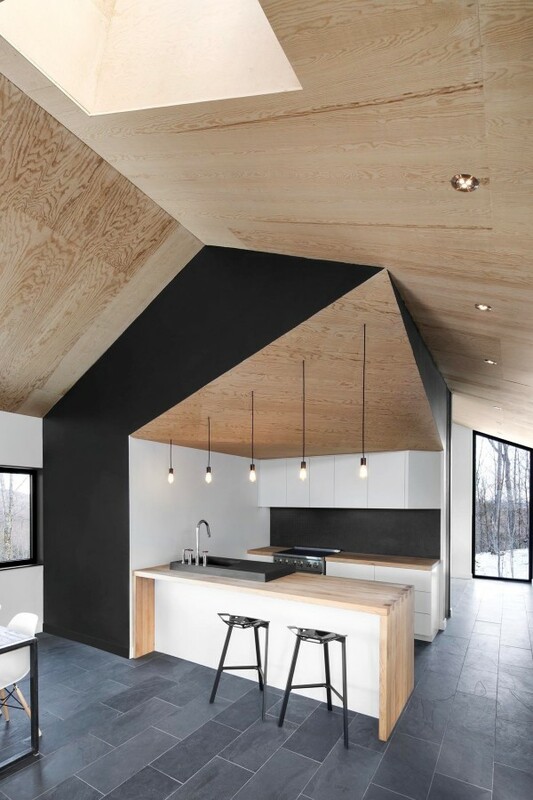 A chevron stripe pattern in the hardwood and vaulted ceilings turn this simple kitchen into something quite luxurious. 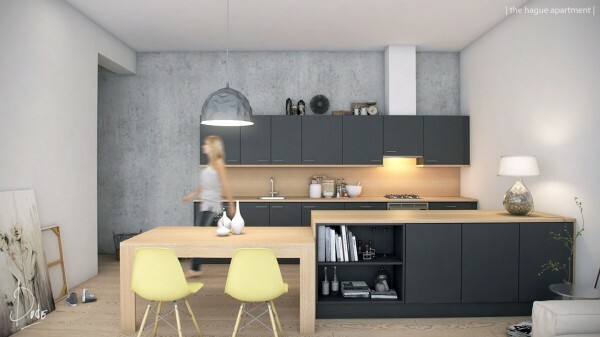 This kitchen makes it clear that you don’t need a ton of space to create something stylish and welcoming. 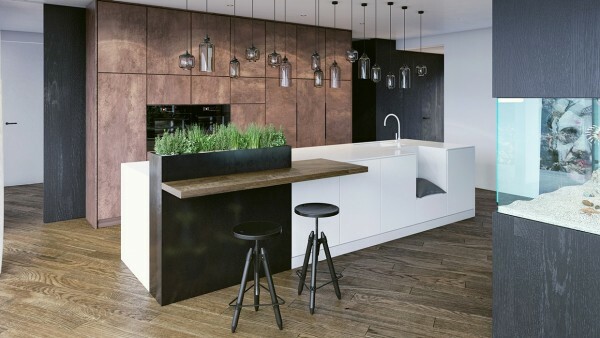 Copper wall paneling gives this kitchen a bit of a design edge. 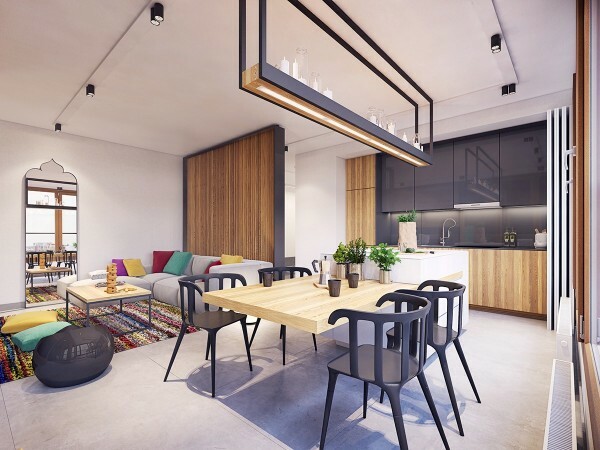 Yellow Eames-inspired chairs are the ultimate pop of color in this otherwise neutral design. 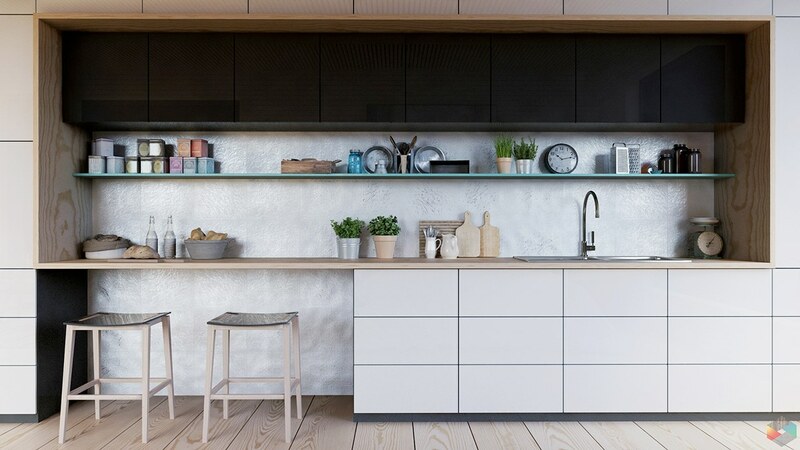 Stainless steel fixtures are all the shine this kitchen needs for its luxurious aura. 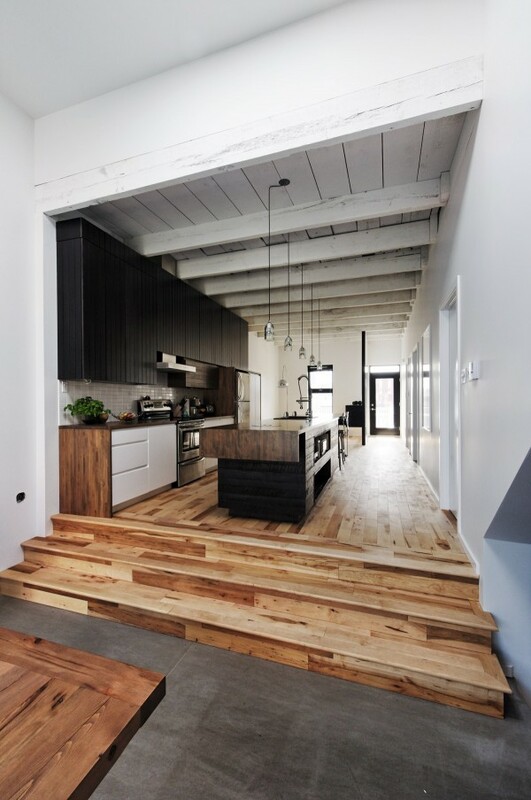 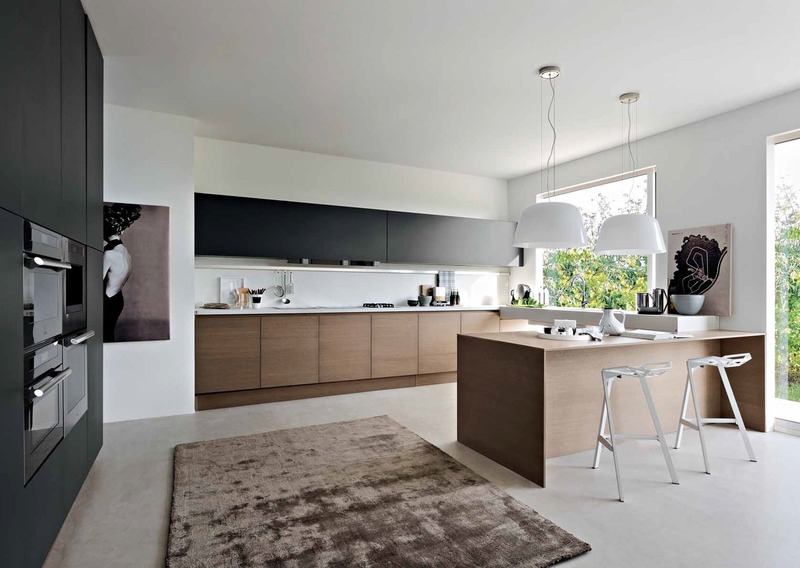 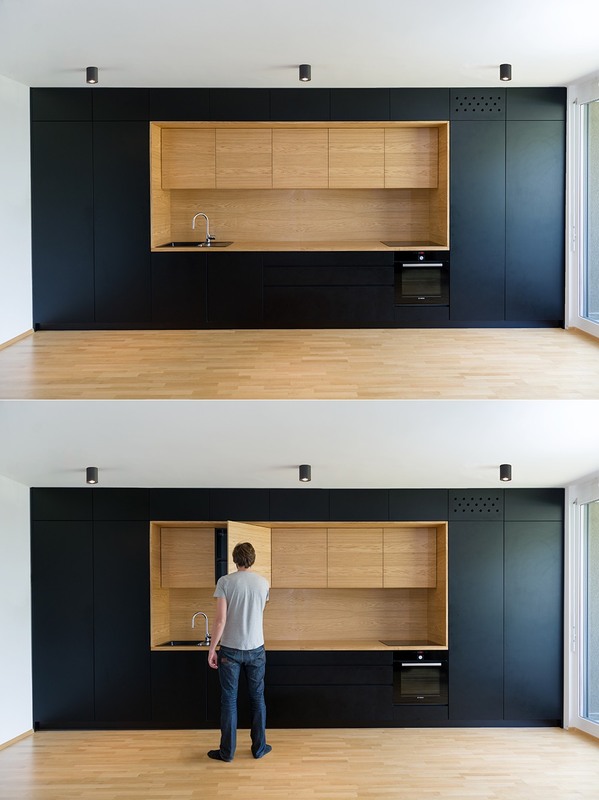 Black and wood as used here are entirely minimalist, with every kitchen item hidden carefully away in recessed cabinets. The molding on the walls in this design marries the classic with the contemporary. 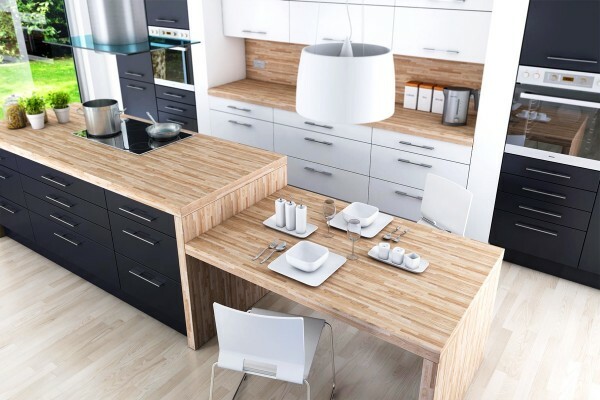 This new kitchen is given a rustic feel with whitewashed wood and mismatched floor panels. 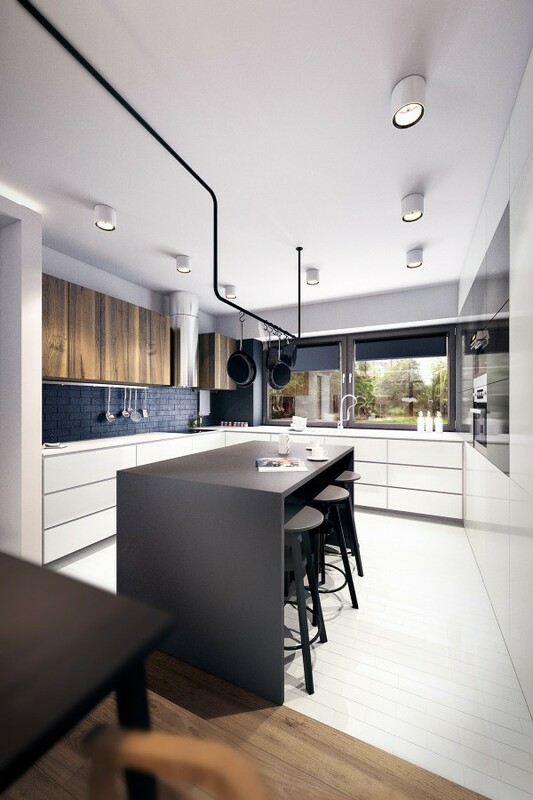 This design uses an uneven ceiling to its advantage, creating interest with handing light fixtures and angular skylights. 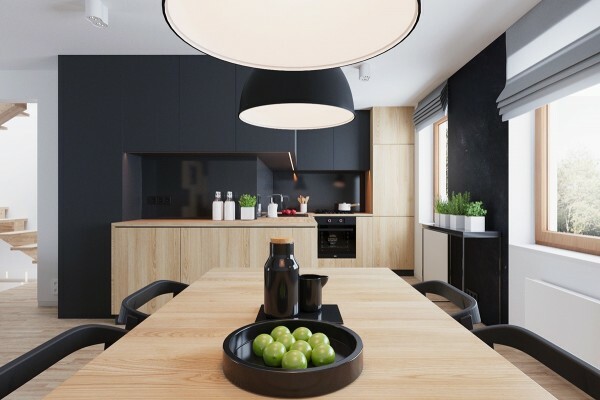 Look no further than this kitchen for some inspired overhead lighting ideas. 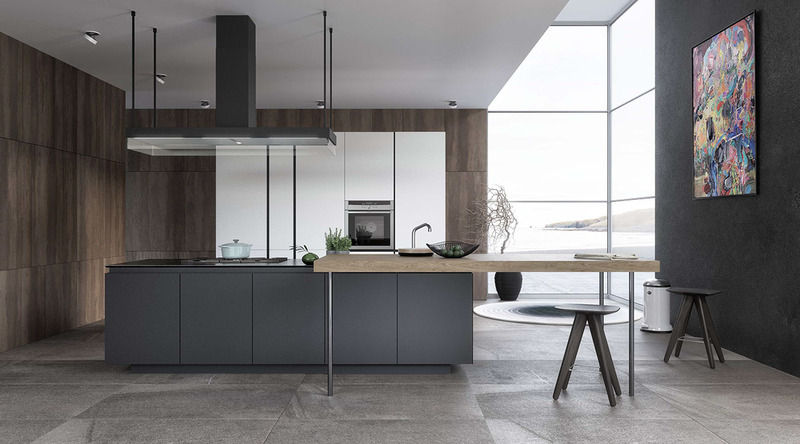 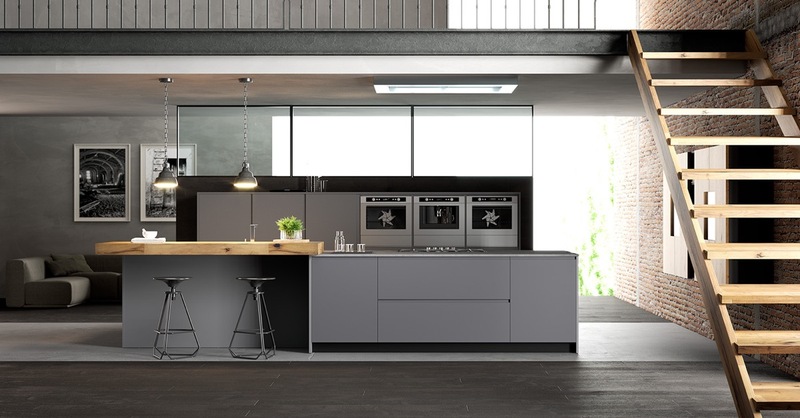 Fitting a modern kitchen into the warm industrial loft style can be a challenge, but this design rises to it and succeeds. 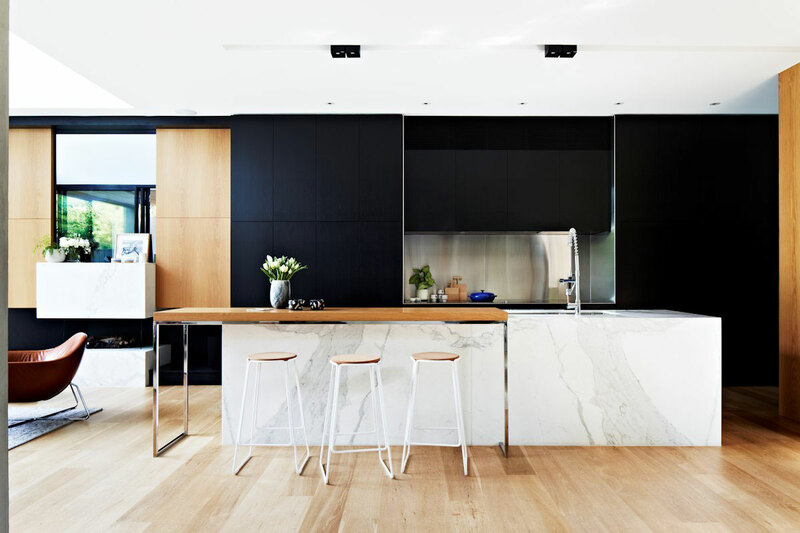 It’s hard to go wrong with white granite countertops and simple wooden kitchen bar stools. The counters here would be enough space to make chopped salads for an army. 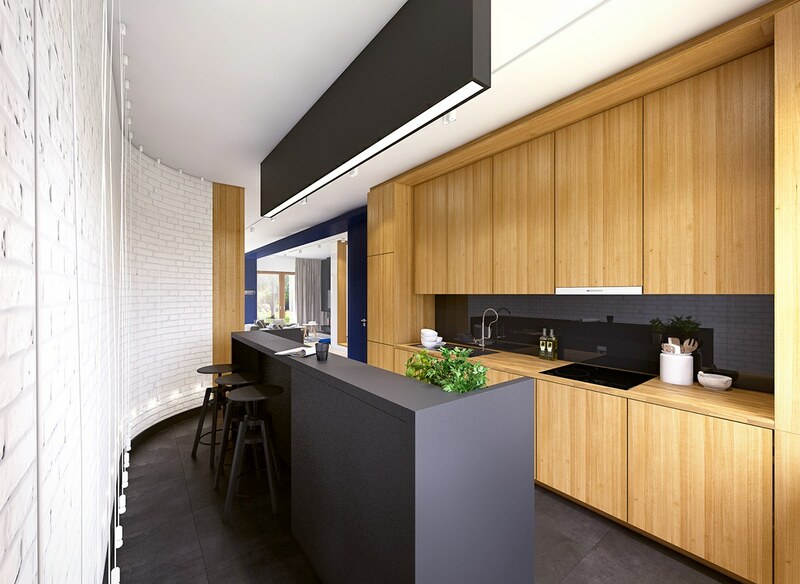 The wood paneling is the star in this warm modern kitchen. 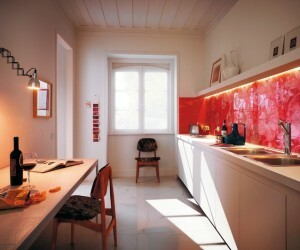 When the dining room opens up to the kitchen, it’s important that they complement each other as they clearly do here. 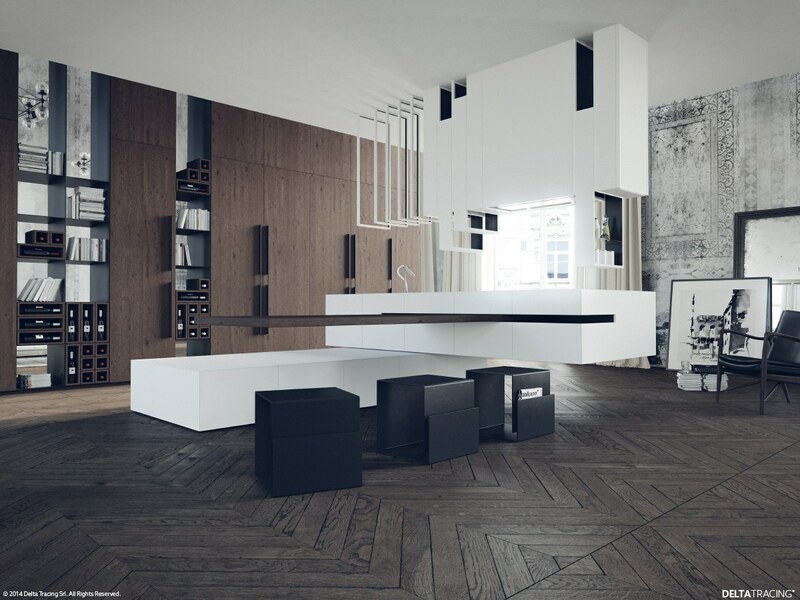 Black and white is warmed up with a soft chocolate area rug in this design. 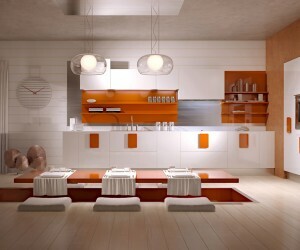 Brainstorm for that big meeting at this open and serious breakfast bar. Wire barstools and simple cabinetry create a gourmet kitchen in a small space. The varying levels in this kitchen give it a lot of visual interest and provides practical storage. 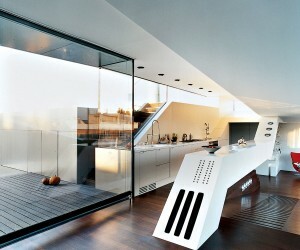 This open kitchen is neat enough to be out in the open in this loft home. 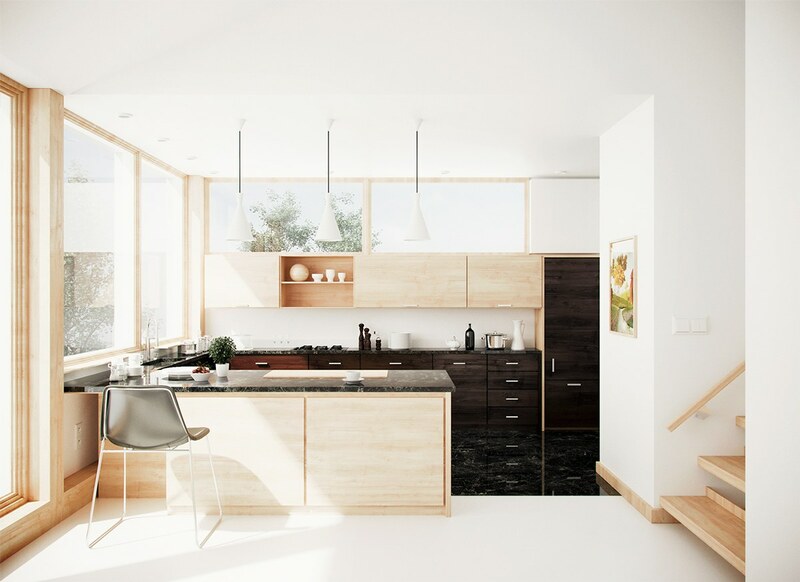 Lots of wood and sunlight give this small kitchen a cozy warmth. 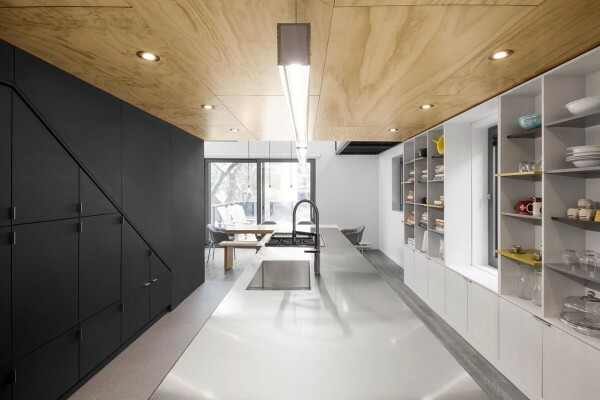 Long black countertops are certainly sleek if a bit overpowering. The white range hood and white island almost manage to turn this kitchen on its head. 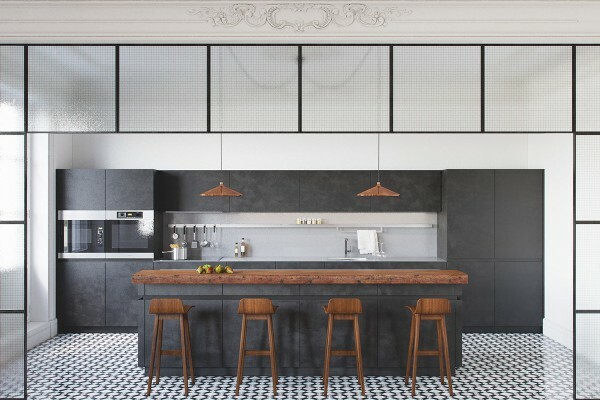 Of course, a small sink and stove are all some people need to find culinary inspiration. Indoor herb planters help add in some greenery. A long narrow kitchen provides plenty of space to be just enough. 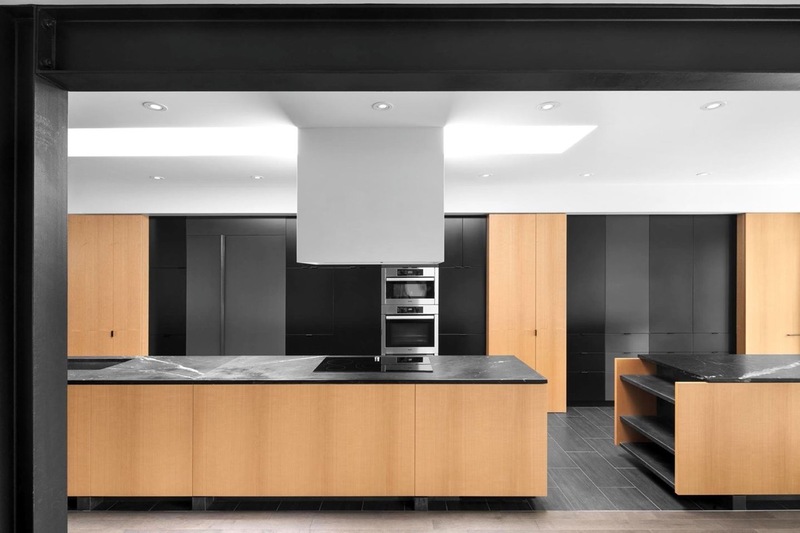 This kitchen is allowed an entire room, which means pot racks galore and plenty of counters. 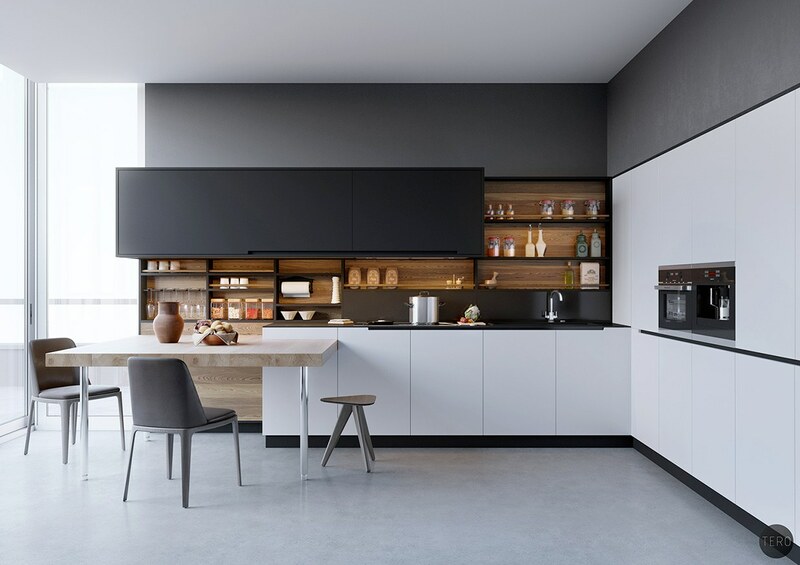 Finally a modern kitchen with a hanging herb garden is every urban chef’s dream.